The Golden Circle is by far the most popular tourist route in Iceland. 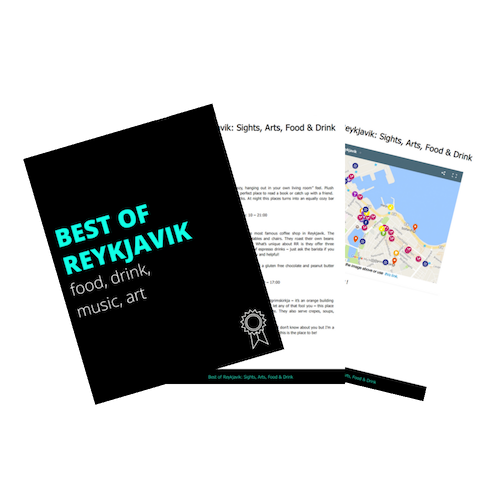 With its proximity to Reykjavik, it is an easy way to see some of the popular highlights in Iceland. If you are doing a quick stopover in Iceland or are short on time, the Golden Circle definitely offers some beautiful attractions. The main attractions on the Circle route are Þingvellir, Geysir, and Gullfoss. BUT as long as you are driving all the way out there, there are plenty of hidden gems along the route that are definitely worth a stop! Here is a list of places you should include if you are driving the Golden Circle. For convenience, I have listed these places in geographical “circle” order and included a map at the bottom. Sometimes there are places I come across that are just an absolute WIN. Þórufoss is one of those places. This will be a slight detour off the regular Golden Circle route, but it is definitely worth the time to stop. Not to mention you will likely be the ONLY person there! Location: After about 15km on Route 36, turn left onto Route 48. Drive for about 5km and look for a small sign on the right for Þórufoss. I know the Blue Lagoon gets all of the credit with the tourists, but Laugarvatn Fontana is a great alternative. What makes this spa experience unique is that it’s located next to a freezing cold lake, so really fun to go back and forth between hot and cold. Plus the scenic view from the pool is what makes this place worth a stop! If you love the sound of ice cream straight from the farm, then this is the stop for you! This place is too adorable, a family run farm turned into an ice cream parlor and restaurant. The ice cream is just as delicious as it looks – I can highly recommend the salted caramel! I’ve also heard their burgers are amazing.There’s also a Bed & Breakfast on the property if you need a place to stay! Location: 801 Bláskógabyggð // On Route 37, after the split from 365, drive about 12km (you will pass Route 366 on the right). You will see a sign for the farm on the left side of the road. This waterfall is out of control beautiful. The contrast of the bright blue water on the black lava is stunning! The only downside to this waterfall is trying to find it! NOTE: The “old” access for Bruarfoss has CLOSED. The directions take you through private property, where you will currently see No Trespassing signs. Please respect the locals and do not cross these boundaries. A proper parking lot and walkway to the waterfall is currently under construction and will be open to the public in late 2017/early 2018. I don’t know about you, but I can never see too many waterfalls! Faxi is a little waterfall hidden gem that most people drive right by. We were literally the only ones there! And even though it was pouring down rain, it was still pretty to see! Do not miss their most popular dish – all you can eat tomato soup served with an assortment of homemade bread. This is not your average tomato soup, this is hands down the most delicious tomato soup I’ve ever tasted! Don’t forget to add fresh basil from the plant on the table. They also have a delicious sounding dessert menu, featuring – you guessed it – tomatoes! For drinks, the Bloody Mary is a classic, but I prefer the Happy Mary – made with gin and green tomatoes! *Note: Reservations are REQUIRED! Call (354) 486 8894 or email fridheimar@fridheimar.is to reserve a table. If you’re looking for a natural geothermal pool in the raw Icelandic nature, then Gamla Laugin is for you! Also known as the Secret Lagoon, this pool is kept as natural as possible. The water temperature stays at a toasty 38 Celsius all year long. Changing facilities are available on site. Location: Road 35 between the towns of Reykholt and Selfoss. Look for a sign on the left. Question: Have you been to the Golden Circle? What was your favorite part? Get your FREE Golden Circle Guidebook! Hi Jeannie! Your posts are amazing and have been helping me so much plan my trip to Iceland! My boyfriend and I will be visiting at the end of the month for 7 days and I was wondering if its possible to do both the Ring Road and The Golden Circle? Is it doable or do you think its too much? Theres so much to see in so little time! I’ve seen most of them and everyone is worth the stop. I have just found this post & it’s perfect timing as we’ll be staying in the Golden Circle in a few days. Will definitely head to a few of these!! TheGreenpick – is it worth more than one visit? It’s part of a tour we are taking on our last day, but out hotel is 2 minutes away so considering going another time…thoughts? I know it’s best to go either when they first open or last thing in the evening since during they day the buses are bringing a lot of people! Secret Lagoon is indeed a top spot and we definetely recommend it! 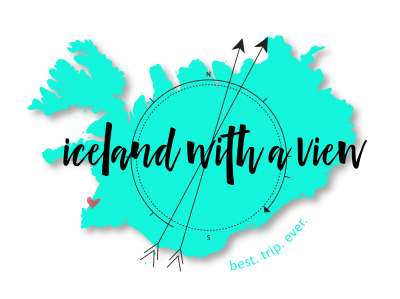 Hi Jeannie, I found your blog thru Pinterest and it has all the information I need to plan my trip to Iceland (hoorah for that!). I wonder if the places you highlighted in here can be visited using a regular car (not a 4 X 4). I am interested in stopping by Brúarfoss but not sure if I will be able to do it with a small rental. Thanks! Thank you so much for this blog! My husband and I are going to Iceland for a week February/March…We have very little officially scheduled and your ideas are getting me SO EXCITED! I want to see it ALL! I already know that we are going to have to go back! 😀 We have rented a 4WD and hopefully will be able to get around ok… Thank you again!! YAY Laura, I’m happy to help! Sounds like an awesome trip you have planned, it will be great! Hey Lauren! End of March can still be snowy/icy but it depends on where you are planning on going. The main routes (Golden Circle, South Iceland) will be maintained to take a rental car. If you are still nervous I would suggest a 4wd. Have a great time! I know, it’s a tough call! Thank you for your input (and site) tho!! I’ve found everything from here to the FB group still really valuable! Everything on your blog has been SOOO helpful! Thank you so much for sharing! My Boyfriend & I will be visiting for the first time in mid January. Coming from NY/NJ area, we get our share of snow but I’ve read mixed things regarding whether to self drive golden circle/south coast vs. tour group. I’ve read about the tips for driving but would be very interested in any suggestions/recommendations you may have. I’m also concerned about the limited daylight hours, is it more time efficient to go on a tour so we don’t waste time potentially getting lost? Thank you for your wonderful blog. I’ve rented a car so that we can see some of the places when we come to Iceland next week (Yikes!). Can a small non-4WD car be used safely on all of the roads that you mention in this post in mid-July? Love your blog and thrilled to be coming nest week! Hi Sharon! Yes, a non-4wd vehicle will get you to all of these places. Thats one of the best things about the Golden Circle route is that it’s super traveler friendly. Hope you have a great time in Iceland! Great blog! We are so excited to come visit in July. Hoping to find Bruarfoss. I see there is a nominal fee to see Kerid crater. Do they take credit cards or do we need cash? Thank you Lisa! I’m not completely sure if Kerið takes cards, but I would assume so. I’ve never even seen a place in Iceland where only cash was needed. Have a great trip to Iceland! Paid with card at Kerid two days ago, no problem. In fact, we’re now on our 5th day of our (fabolous!) Iceland trip, and has yet to use any cash, anywhere..
Ok excellent news. I personally have never had to use cash in Iceland, but it’s good to know for sure. Hope your trip was amazing! Don’t forget about the Rye Bread underground bakery at Laugarvatn Fontana! The most delicious and moist rye bread. I’ve tried to recreate it back in Canada, with their recipe, and it is incomparable. Also, you can stay in the old boarding school down the street. Thanks for sharing, Lindsay! I’ve never tried this rye bread, now I will have to make a trip out there! Héraðsskólinn hotel is a really cool place, but I have yet to stay there. Thanks for the tips! Good day from Quebec, Canada ! Absolutely! I recommend starting early, and you have about 22 hours of sunlight right now so you’re good! It will be a long and packed day, but worth it! Your blog is awesome! I’m going to be in Iceland in 2 weeks and can’t wait! I’m printing out as much of your information as possible so we get to see as much as we can! We are going to Siglufjörður, and Grundarfjörður ending our trip in Reykjavik. I’m so obsessed with your blog! My fiancé and I are going on our honeymoon in August and this has been SO helpful! Thank you!! Agreed, Faxafoss is so pretty an unique! Thank you for sharing!